Is LB2 right for me? 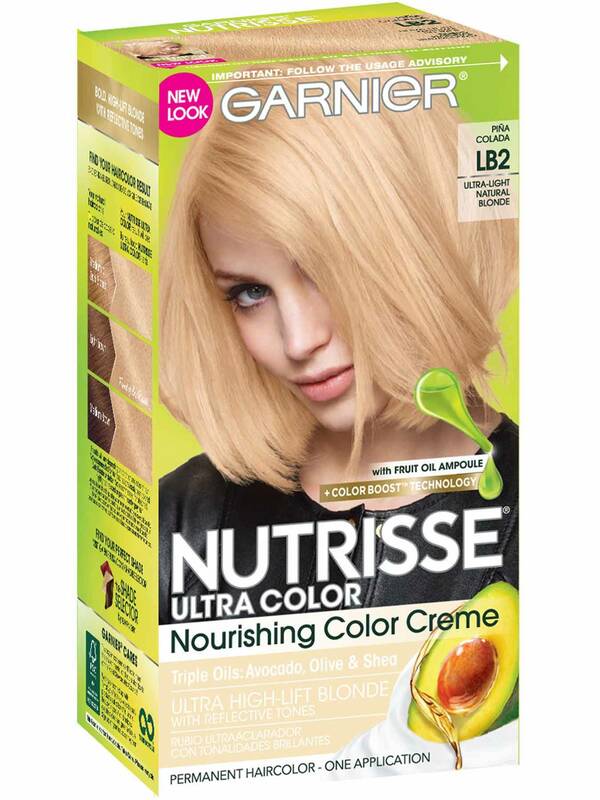 Garnier Nutrisse Ultra Color LB2, "Ultra Light Natural Blonde," was specially formulated to lighten up to four levels without bleach. It is best for anyone with natural hair between light brown and darkest brown that wants to achieve a natural-looking blonde shade. 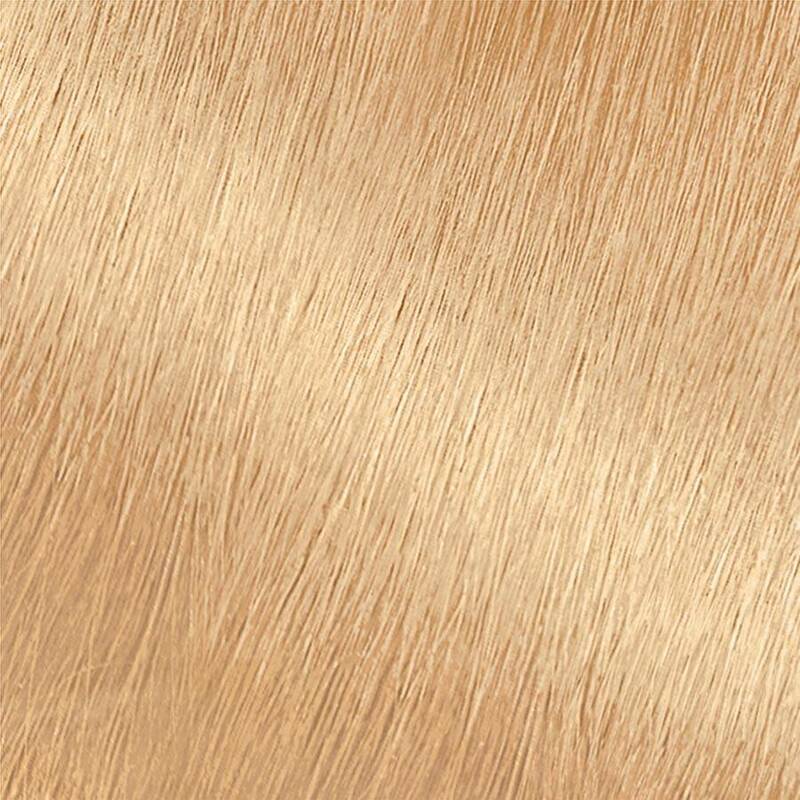 If you are looking for different blonde reflects, then LB1 or LB3 might be for you. *For women with currently colored hair, there are special considerations for the color result you can achieve. Because of this, we do not recommend shade LB2 for hair that has been previously bleached, highlighted, hair that is predominantly gray, or if you have previously colored your hair "Dark Blonde" or darker. For more help, use our Shade Selector Tool to find the perfect shade for you! Rated 5 out of 5 by Fanz from Vibrance In My Hair I love using the Nutrisse Ultra Color because it made my hair color so vibrant. When I applied it, it was not too smelly and strong. And when I rinsed it, its silky and soft. My hair was black so when I applied this Ultra Light Natural Blonde shade, it made my hair looked light brown. But I still love it! Rated 5 out of 5 by MrsDixon from Covers well I received a free sample in return for my honest opinion. This hair dye is easy to use. It has simple, understandable instructions. Follow the directions and your hair will turn out looking great. It does not burn your scalp. Doesn't have a bad odor either. My hair turned out great. I love it. Rated 5 out of 5 by Gary2 from All blonde, what grays! Nutrisse Ultra Color Ultra Color LB2 - Ultra Light Natural Blonde was easy to mix and apply with no mess! It smelled amazing and grays...what grays!!! 100% gray coverage and nothing but super shiny, healthy, multifaceted blonde here! And all in 20 minutes...I will never use anything else! Rated 4 out of 5 by Bridgette M from Not quite the color I thought it would be. I do my hair every 8 weeks. This was the first time I tried this brand. The shade was pretty on the box. When I used this the allotted time. I washed it out. My hair smelled good, and was very soft. The color was about 4 shades darker than what it was on the box. It came out more golden, which wasn't the color I wanted or looked on the box. Rated 3 out of 5 by Ash15 from It was... Okay. First of all, I have rather stubborn hair. It refuses to hold curls, doesn't like to be dyed, and is frizzy. Plus, it's rather thick. Like many hair coloring products, there is a strong odor when applying the product to your hair that became unbearable, at times. What's worse is that the odor lingered for weeks in my hair, no matter how many times I washed it or what products I used. The dye definitely lightened my hair color, which is a medium dark brown, but it by no means turned it "Ultra Light Natural Blonde." I followed the instructions to the letter and still had patches of hair that didn't die at all. One plus to Garnier Nutrisse Ultra Color is that it didn't leave my hair feeling like straw. Overall, it's a decent product but it's just but ideal for me. Rated 4 out of 5 by Bethie1 from Super Suprised that this dye is so Super! I Love it!!! I don't usually dye my own hair. I've had bad experiences in the past with my hair turning terrible shades of green and then purple. I took my time with this one and read through the instructions and did the allergy test. My hair is dark blonde and very fine, but thick and long. Bleach turns it green and makes it break and fall out. However, I love a lighter shade. This did the trick without using bleach! Mixing was easy. I shook the developer with the color for about 5 minutes, which was probably longer than necessary. It smelled nice. I think the fruit oils really helped keep the chemical smell down. It went on just like any creme conditoner. Super easy to evenly apply and saturate the hair. I set the timer on my phone and used the 20 minutes to relax in the bath. Rinsing was easy. It didn't take long to get a clear water rinse. The deep conditioner made my hair super soft and smelled nice. After I dried and styled, the color was a little darker than I expected, but I still love it. I have a feeling that if I use it again, it will get even lighter. The best part is how healthy my hair feels. Not dry or brittle, but soft and hydrated. I took away a star because my roots were darker than the rest of my hair. Next time, I'll do it all together and leave on for 30 minutes instead of doing the length first and waiting 10 minutes. Other than that, this product was fabulous. It is now my go to hair coloring product. No more wasted afternoons and pricy appointments for me. This did the trick and I loved it! Rated 5 out of 5 by Kannonsmom from Beautiful packaging Beautiful, eye catching colors on the package are bound to catch an eye. Simple easy to read instructions, and great example colors right on the back of the box. With the added oils it leaves your hair feeling amazing.